Metal Composite Material (MCM) utilizes steel, stainless steel, aluminum, titanium, copper, and zinc, whereas Aluminum Composite Material (ACM) utilizes aluminum only. MCM/ACM panels create a versatile architectural façade that is customizable for any project design and are manufactured through a process of bonding two metal skins to a thermoplastic core, which allows for flexibility and durability. The aesthetic appeal of MCM/ACM panels is apparent in their sleek, modern finish and practical appeal because they are weather resistant, easily maintained, and long lasting. East Coast Metal Systems can design panel systems to achieve the desired fire rating based on local building codes. MCM/ACM panels are available in a variety of finishes and are customizable in thickness, texture, color, shape, profile, and application method. We also have experience with National Fire Protection Association (NFPA) 285 assemblies and can work with you to achieve the desired aesthetic and functional result. Our custom, preformed single skin metal panels offer benefits like protective coatings, low installation cost, design freedom, and functionality. Technology has made “custom” affordable, and single skin metal panels offer a wide range of custom or standard colors, texture, shape, and profile options. They are an excellent combination of performance, aesthetic appeal, and cost efficiency. Our custom profile matching options allow us to mimic standard roll-formed profiles, including both ribbed and flatlock. 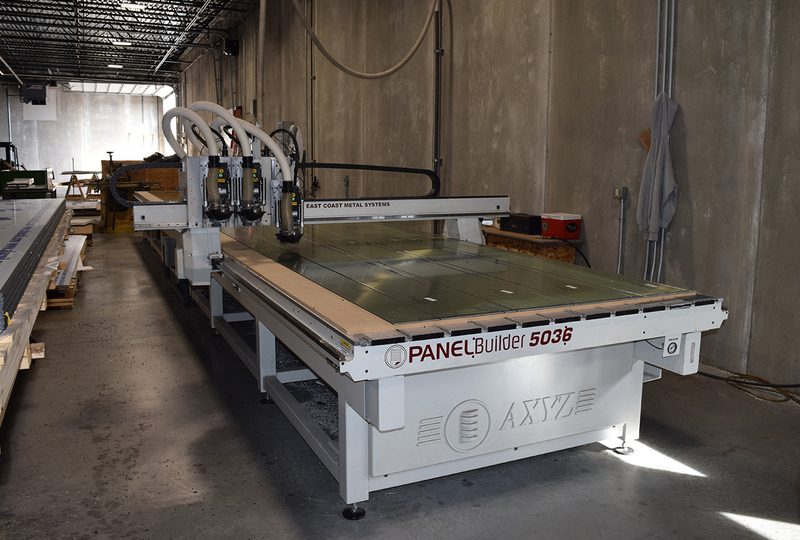 We offer lap seam single skin panel systems, flush, and exposed fastener with brake forming capabilities for any single skin panel profile, whether it’s a standard or custom profile. East Coast Metal Systems also has experience fabricating plate panels where durability is of utmost importance. They are composed of a heavier gauge material suitable for all types of construction and customizable in terms of gauge, size, texture, shape, and profile. A single skin or plate panel can be composed of various metals including aluminum, copper, zinc, terne-coated metal, and brass, as well as stainless and galvanized steel, and galvalume metal.